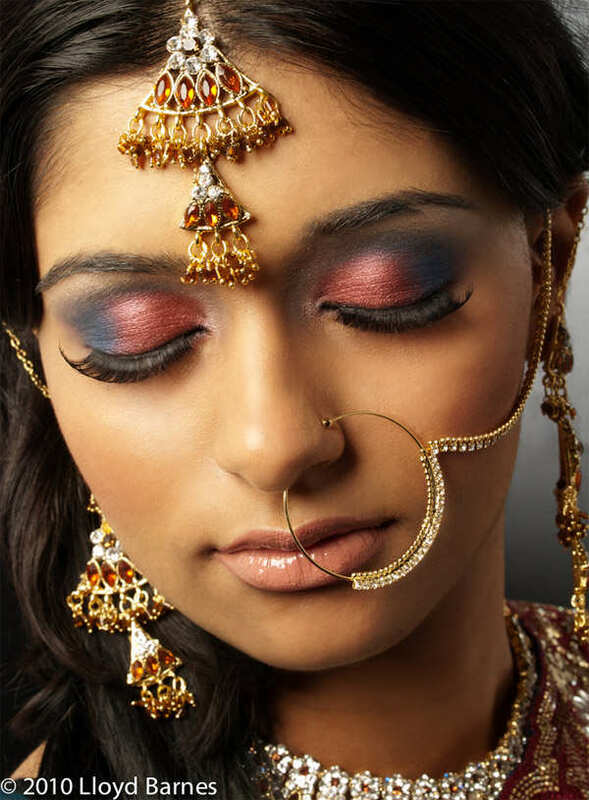 The Indian make-up can be called a separate art form, because there are accents which makes directly on the eyebrows and lips. 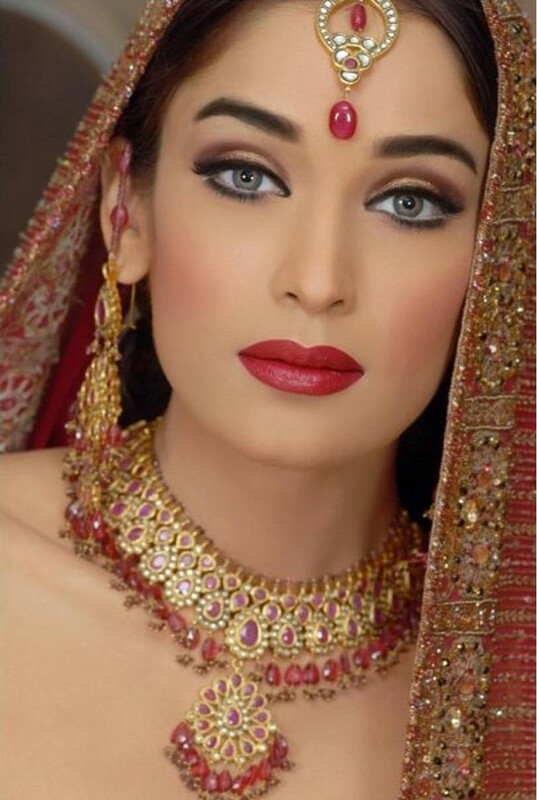 In this case the eyes look very expressive too. 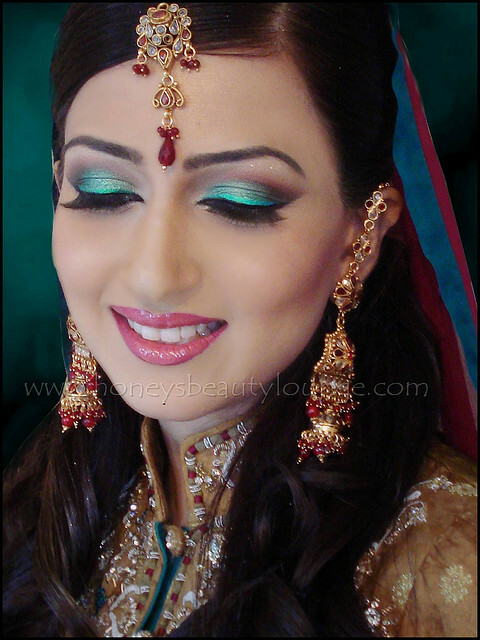 Shade of deep, rich colors and oily texture are suitable for Indian makeup. 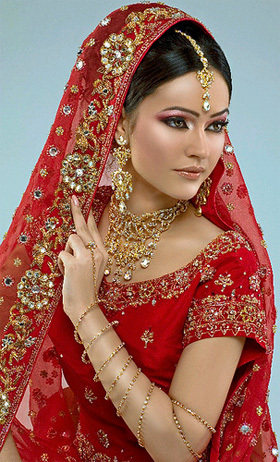 India is famous for its spices and their colors are the most suited for the Indian women. 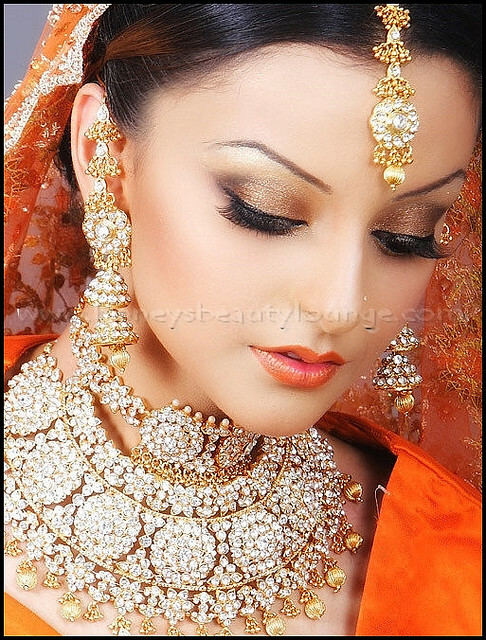 Bronze and terracotta are ideal for dark skin, and the fair-skinned girls should choose gold, yellow, silver and green. 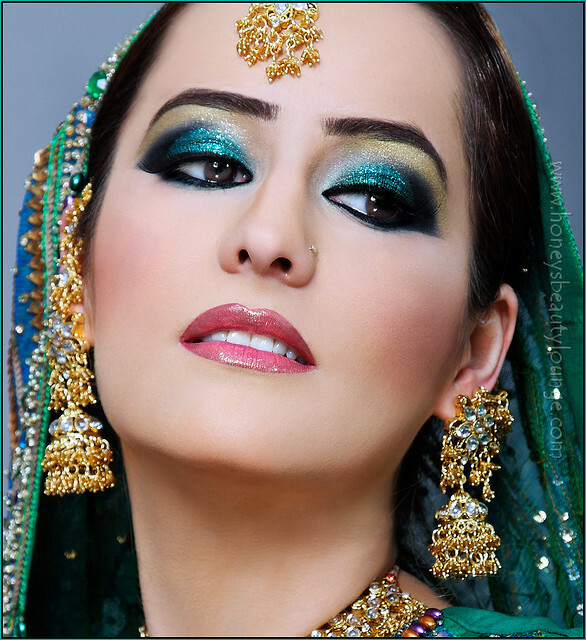 The upper and lower eyelid region are passed round by black eyeliner. 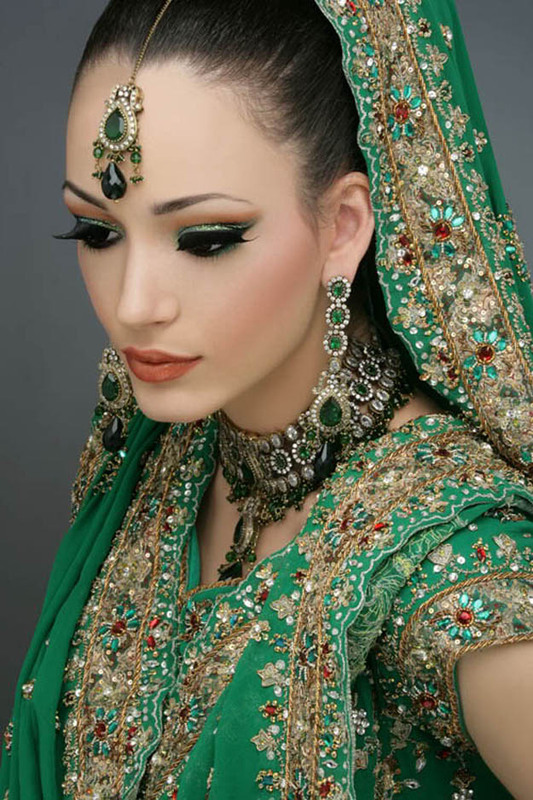 The thickness of the line you can choose any, as long as it is in harmony with the type of person’s appearance. 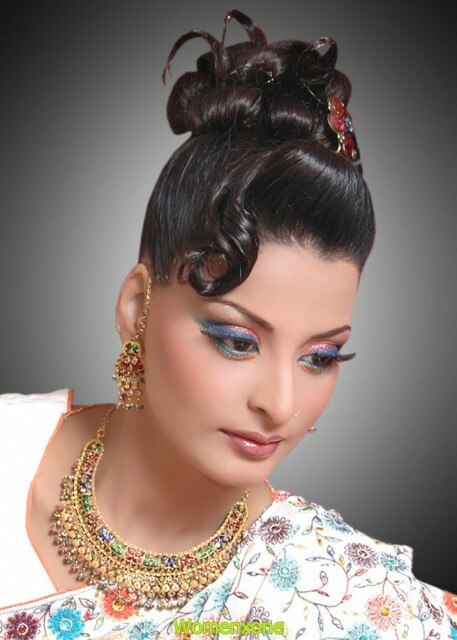 "Arrows" can be pulled out of the boundary of the outer corner of the eye and send it up slightly, like Cleopatra did. 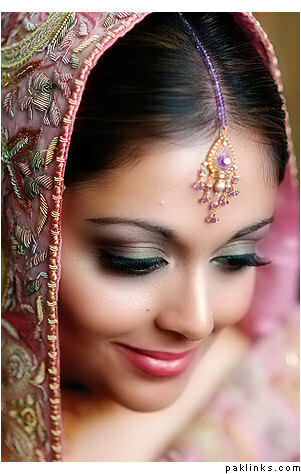 Thick eyelashes can help to emphasize your eyes, so it is better to take a mascara that gives volume and elongation. 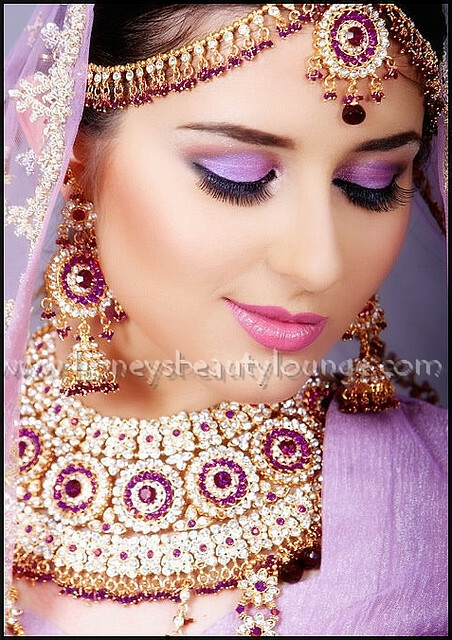 It is allowed to apply three or four layers, the main thing that eyelashes are not becoming glued together at this moment. 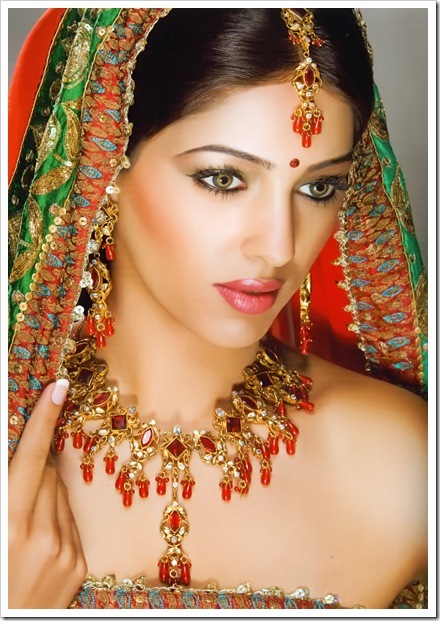 The Indian make-up - it's sensual lips, that’s why mouth, respectively, should resemble a bright exotic flower. 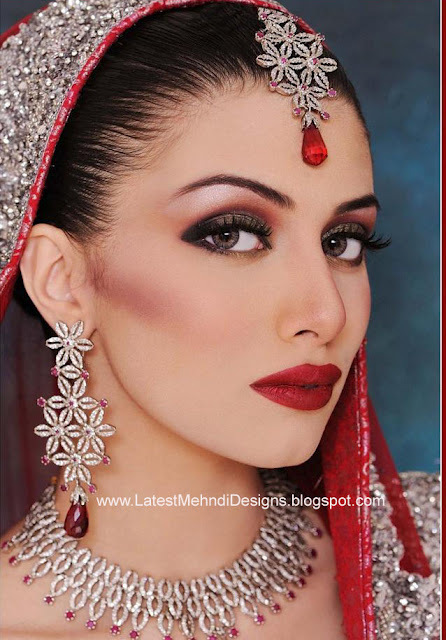 To do this, firstly draw contour of the lips, then apply lipstick by brush. 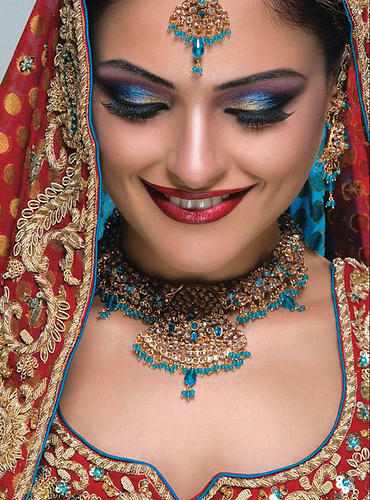 Lipstick should be sure in warm colors: coral, red, pearl with crystals. 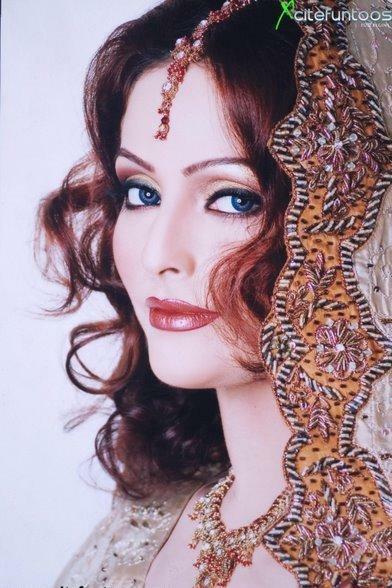 It gives lips extra volume and sensuality. 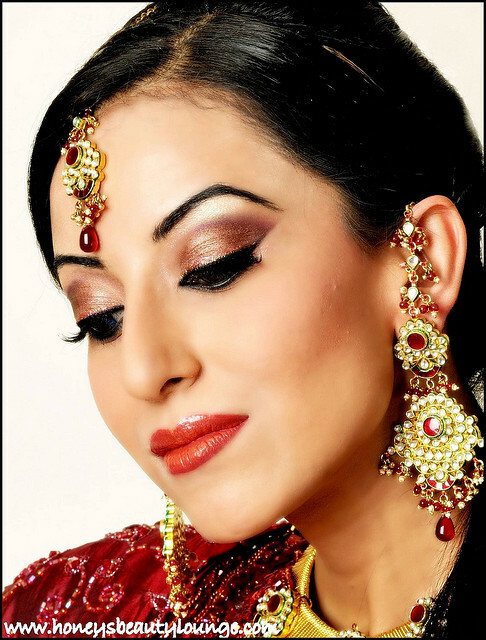 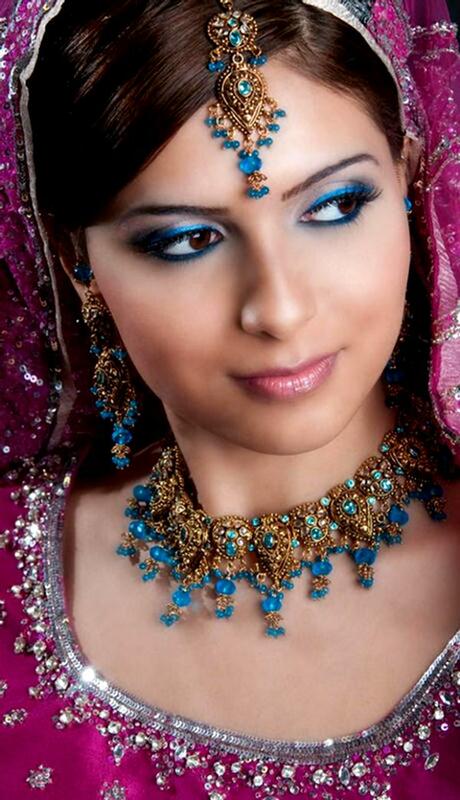 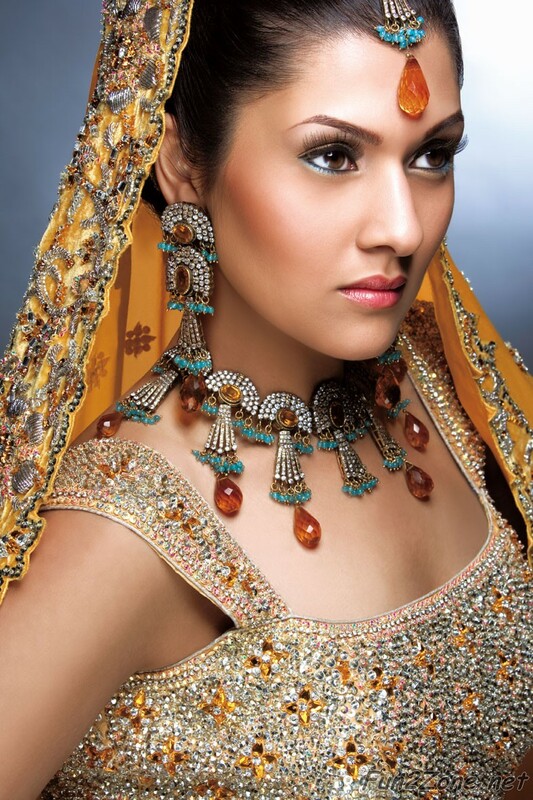 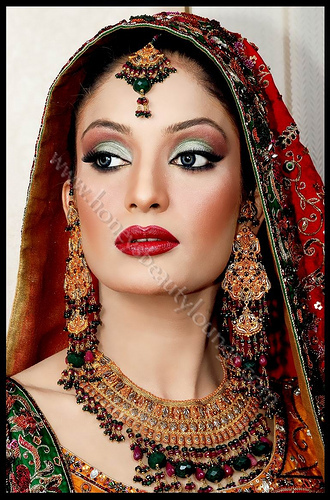 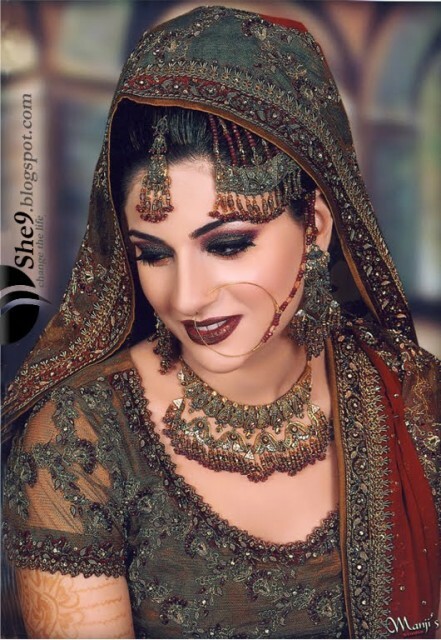 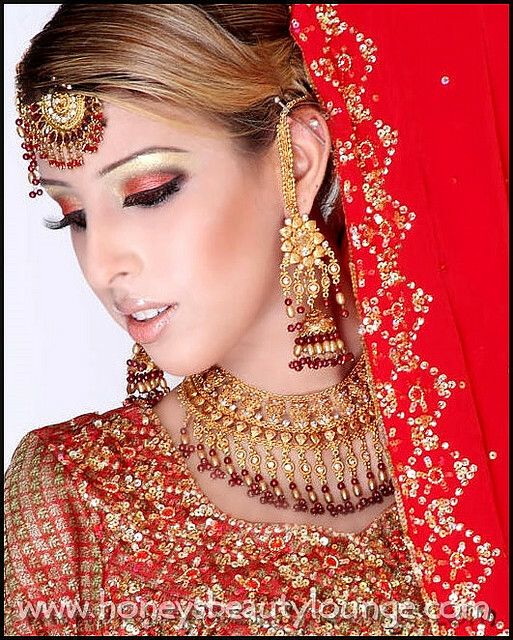 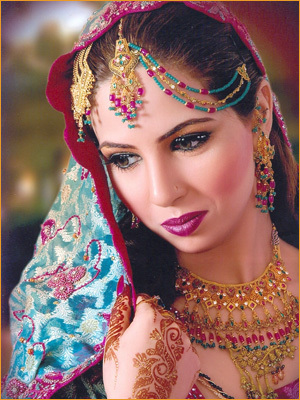 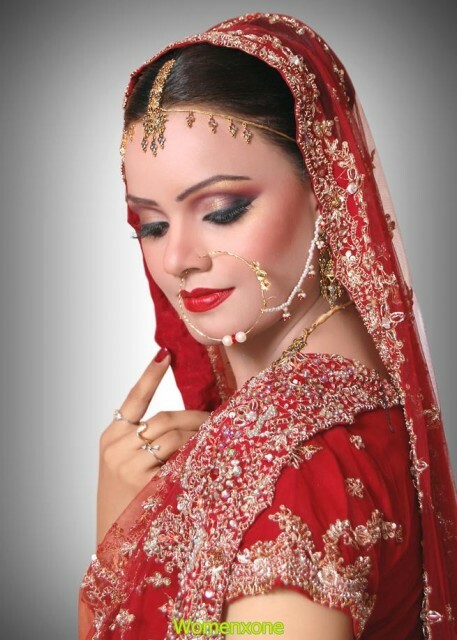 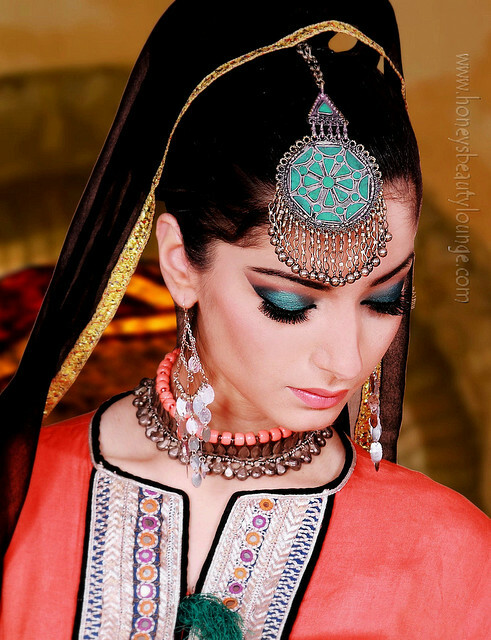 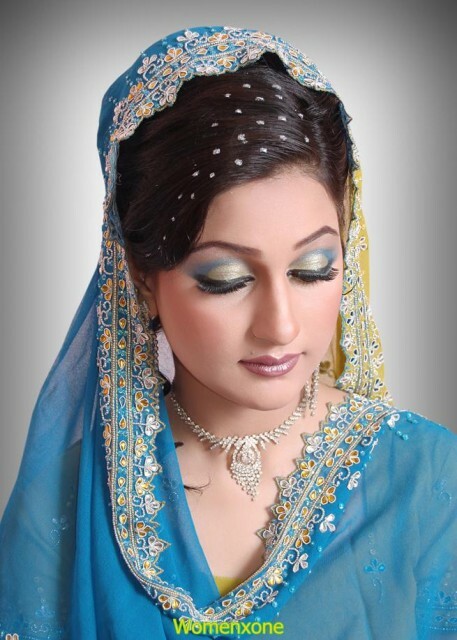 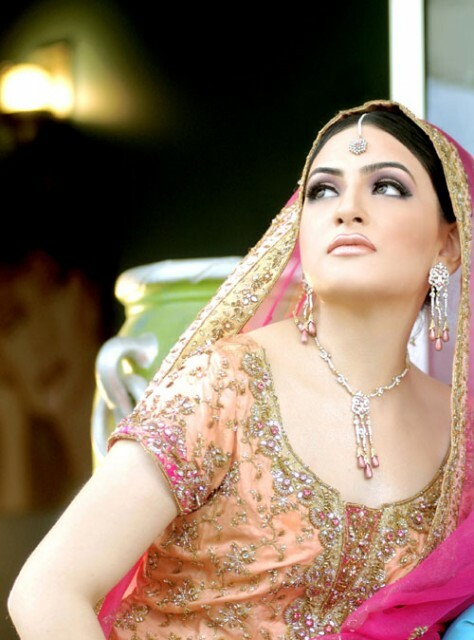 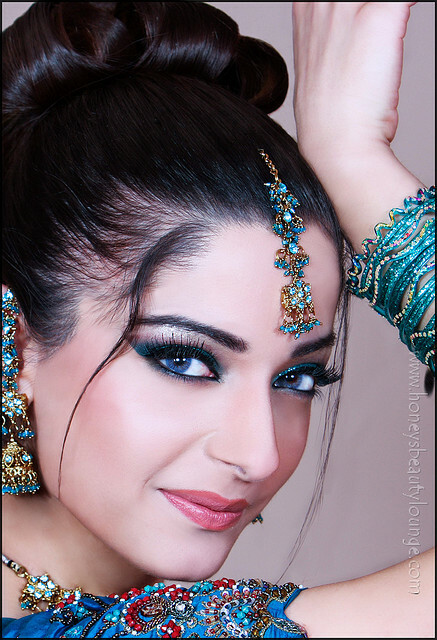 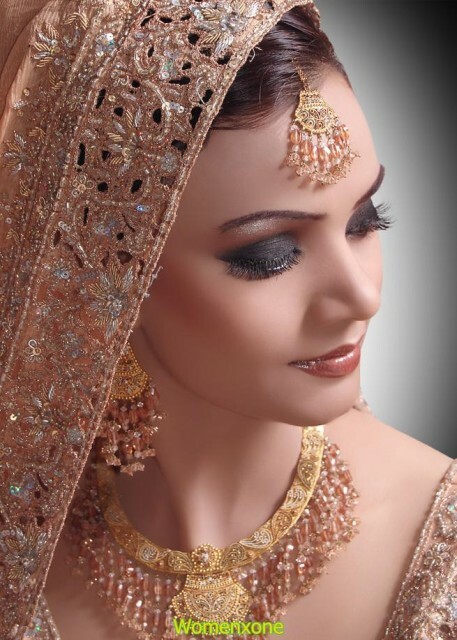 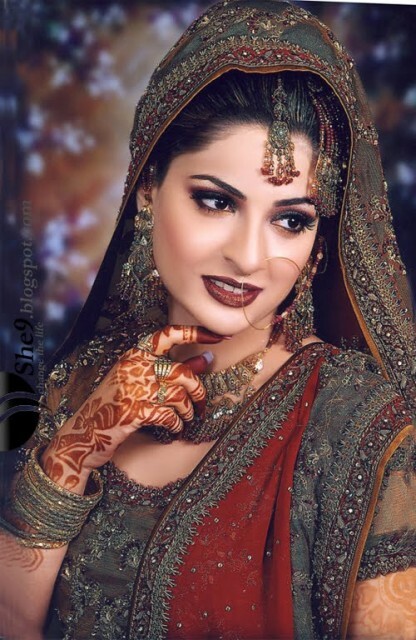 Of course, makeup beautifully emphasizes by Indian ornamentation. 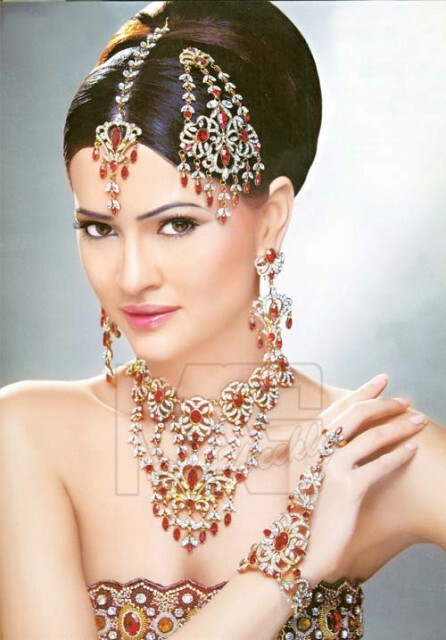 Indian jewelry has its own distinctive features that make them recognizable and unique. 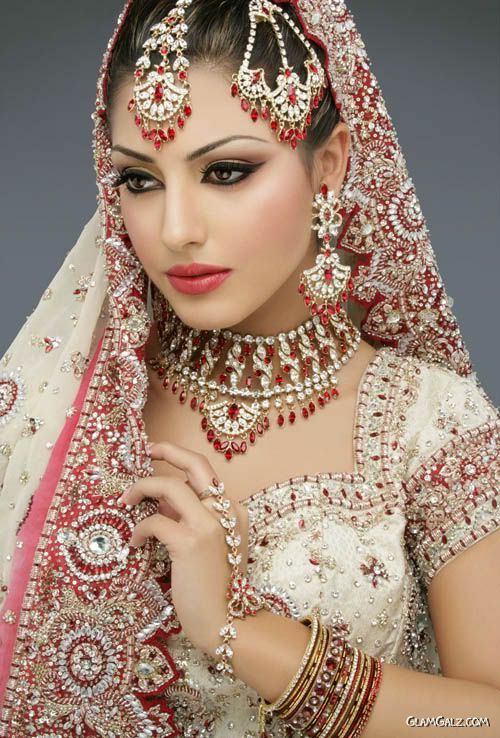 These products are symmetrical, despite the variety of different colors and stones, combination of different materials, they have no disorder. 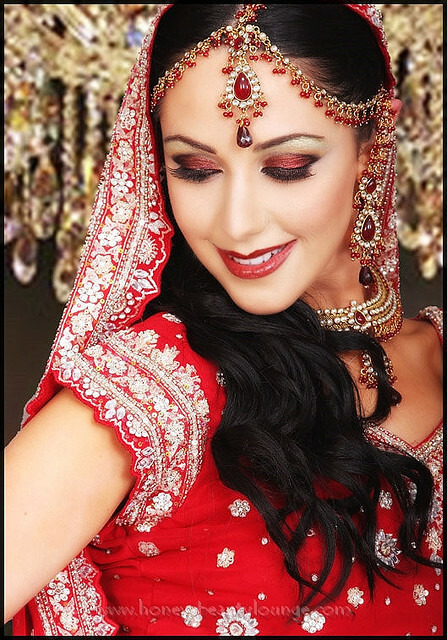 Festive Indian life is closely linked with dancing, and decorations have always been a part of the ceremonial costume, that’s why they have their own sound and musicality. 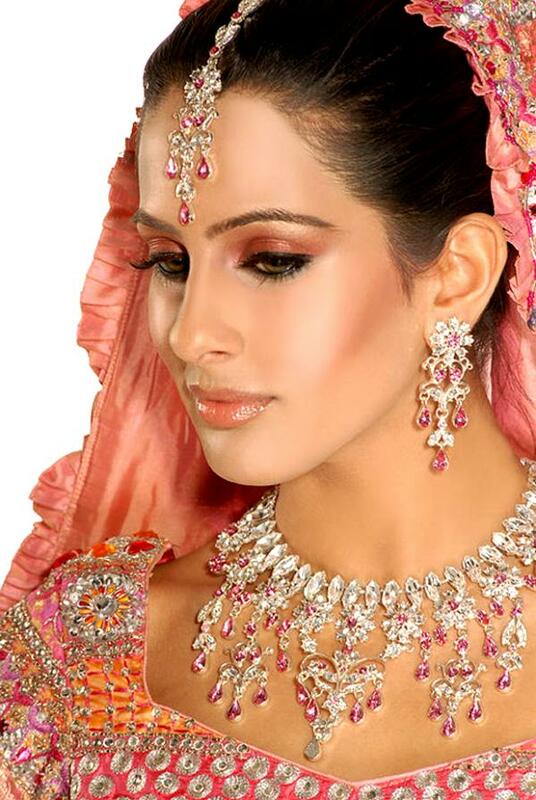 First of all, large necklaces with precious stones, massive earrings, as well as the famous bracelets and rings. 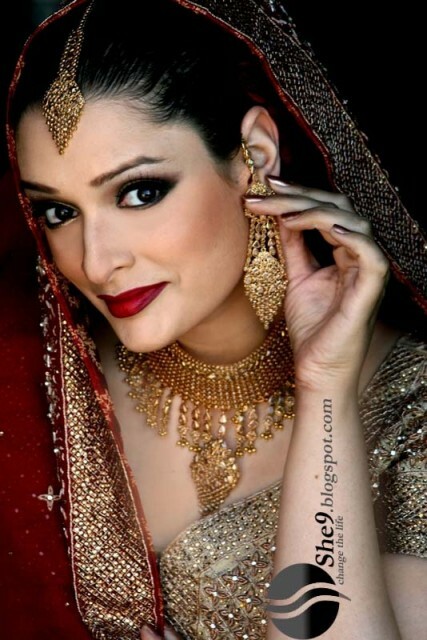 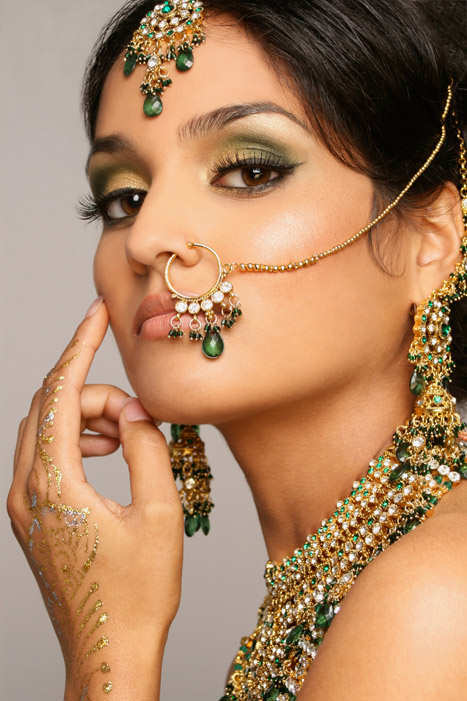 I present you a very interesting collection of Indian make-up and beautiful jewelry, with them Indian women like so much to flaunt in various Indian festivals and special events.